August 13. 2013 | By Valerie C.
These days, it’s a rarity when one enjoys every track on an album. Washed Out‘s Earnest Greene has proven to be one of those rare artists that can produce such albums. As with 2011’s Within And Without and now, his follow up Paracosm, Greene once again delivers an album anyone would gladly leave be, to just play on. Filled with dreamlike tracks, sometimes punctuated by ambient bird songs, clapping, and the whispers and murmuring of people in confidence with one another, Greene’s sophomore offering feels warmer and more self-assured. “Weightless” is exactly that, uplifting and light as air, slowly floating up to its exquisite crescendo. 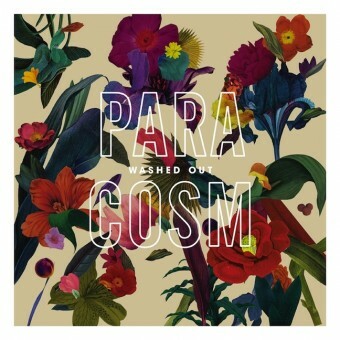 Title track “Paracosm” is a world unto itself, punctuated with soft hints of heavenly harp. “It’s All Over Now,” is synth filled melancholy bliss. Playing some fifty instruments himself and again enlisting Ben Allen to produce, Paracosm’s mood is much more luminous than it’s predecessor, yet retains a certain sense of ease. What is Paracosm? One might wonder. It’s a detailed fantasy world usually created by children and often as detailed and limitless as a child’s imagination. Upon immersing oneself in Washed Out’s aptly titled album, we are lured into a magically melodious and harmonious world. Each track like an undulating step down deeper and deeper into this musical world. And willingly, we go.